Today’s coworking office didn’t simply spring from the penny loafers of a techie, hipster entrepreneur. In fact, you have to look back to the 1950s to see some of the seeds that grew into the modern coworking office. As more professionals left the corporate world of the 1990s, the need for professional meeting spaces expanded. Through the early 2000s, entrepreneurs often sought a professional mailing address and a landline phone number. Calls would pass through a receptionist and into voice mail. Generic meeting rooms were an easy way to appear to have a fully functioning office without the need to rent something permanent. But the cell phone revolution changed the coworking world. Once Apple produced the iPhone (2007), the independent workplace shifted dramatically. Entrepreneurs no longer needed a PLACE for their STUFF – like computers and desk phones. Everyone was walking around with a virtual office in their hand. Business owners no longer needed an office to review e-mail and voice mail. So coworking spaces had to adjust. Instead of offering cold, blank rooms, coworking spaces had to feel comfortable and modern to attract tenants. At the same time that entrepreneurs were doing more business via Smartphone, the best corporate companies were offering innovative work environments as a company benefit. Workers were no longer stuck in grey cubicles all day. Instead, they got light, airy meeting spots furnished with couches and TVs. The communal coffee pot was replaced by the espresso machine (or living, breathing barista). So as those corporate employees struck out on their own, they demanded similar traits of their coworking spaces. At least three members of the San Diego Coworking Alliance operate with a niche member in mind. CyberTECH is focuses on tech startups. Hera Hub supports female entrepreneurs. And 3rd Space is geared toward creative endeavors. And while a niche market might be a great way to bring like-minded professionals together, coworking spaces have to walk a fine line between inclusivity and exclusive practices. Diversity is key in creating new and innovative ideas; so being overly controlling about member activities can stifle the creative environment necessary for small businesses to adapt and expand. (However, it would be a little odd to have a barber cutting hair next to an app developer.) Commonly, niche coworking offices try to offer spaces to a majority percentage (like 66% or 75%) of business owners that fall within the defined specialty; the rest of the spaces are open for anyone looking for an awesome office. 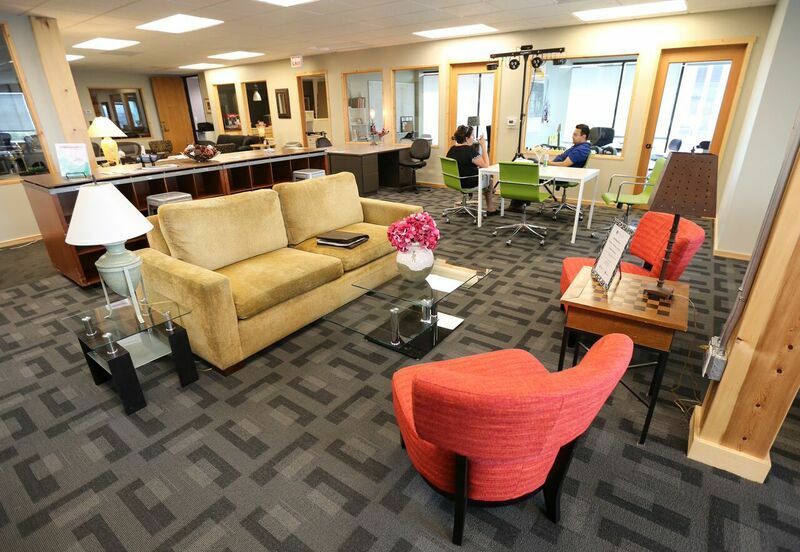 Technology is likely key in determining the future of the coworking space. And the intent of that technology (ironically) will be to bring people closer together. Virtual (reality) conference rooms are on the horizon for the Jetson’s office space. Also key to the future of the entrepreneurial workplace – personal interests. The coworking space of the next decade will be busy 24/7. After-hours activities will be filled with musicians, pod-casters, and cooking classes. Start-ups no longer need the garage or the basement to get going. The next generation of big brands will come from the coworking spaces we occupy today. And we’re all better for having worked in one.